Permits easy release and re-use where changes are anticipated during development, production or servicing in the field. Cheminax controlled electrical cables used in the aircraft and aerospace industries. They have a wide range of applications in missiles, avionics, radio-frequency and microwave systems, computers, security and surveillance systems, and communication. 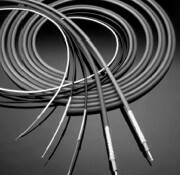 Cheminax Coaxial cables were designed to solve interconnect problems in electronic systems, such as computers, military equipment, and other areas of high-density packing, where cables are required to perform to more exacting specifications than standard radio-grade (RG) or UL recognized (UR) constructions. TE Connectivity's advanced materials technology has allowed the design and development of TE Cheminax miniature coaxial acbles that offer substantial savings in size and weight while improving mechanical performance and redusing attenuation. 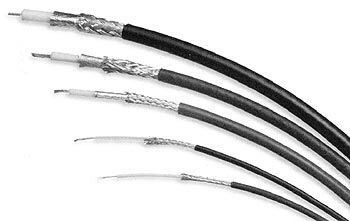 Cables can be designed that are either smaller and lighter than standard RG and UR cables or provide significantly lower attenuation and capacitance with no significant increase in size.